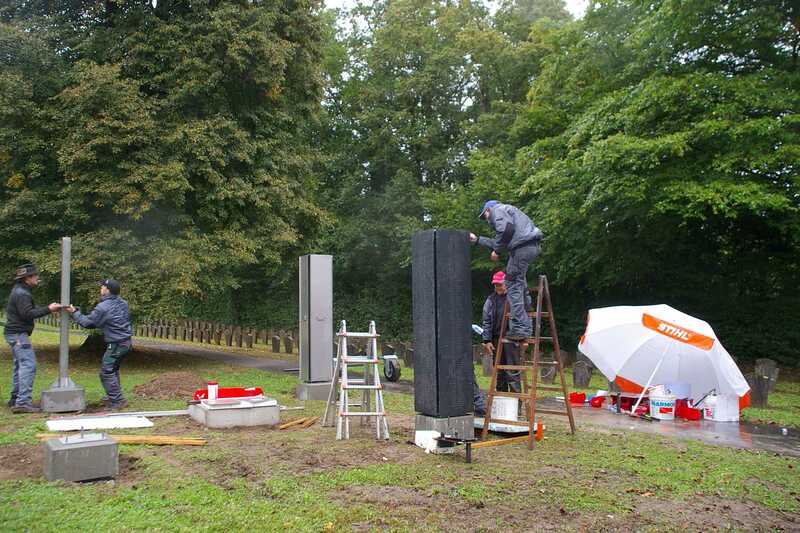 Project Name Plaques – KZ-Gedenkstätte Vaihingen/Enz e. V.
The Nazis stole a part of their opponents’ dignity and identity by replacing their names with numbers. 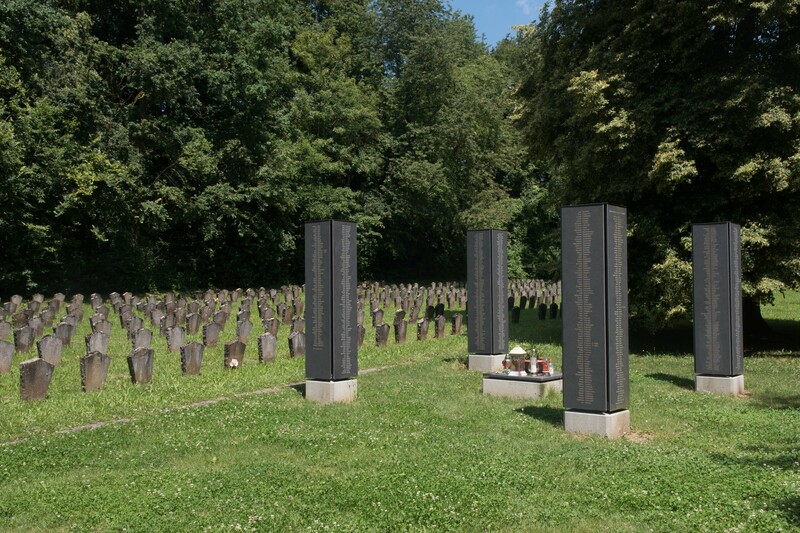 After the exhumation of the bodies from the mass graves in 1954 the victims of the Vaihingen/Enz concentration camp were once more given numbers. Their re-burial happened anonymously, some of the bodies sharing a grave with another. The gravestones have only numbers on. But family members need a name and a particular place in order to remember and mourn their dead relatives. It was these facts that convinced the Vaihingen Memorial Association of the need to give the victims back their names. The four pillars representing all four points of the compass from which the prisoners came to Vaihingen. 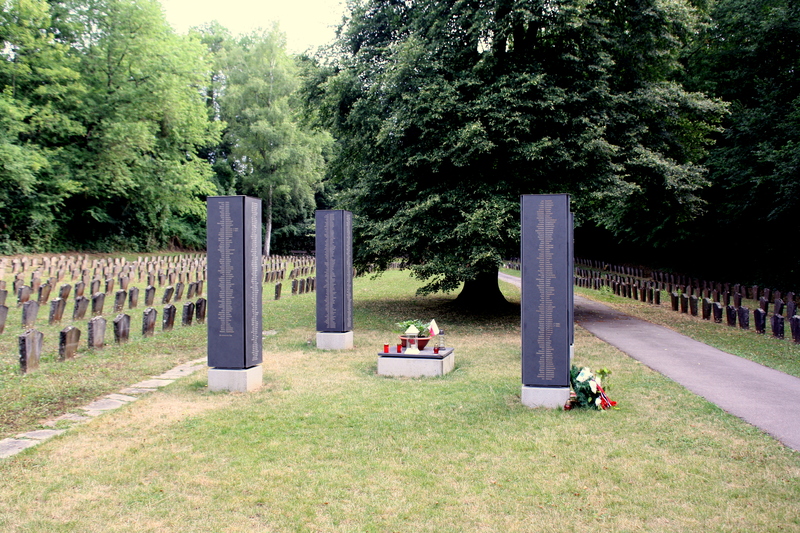 The plaques uncover and reveal the names of the victims. 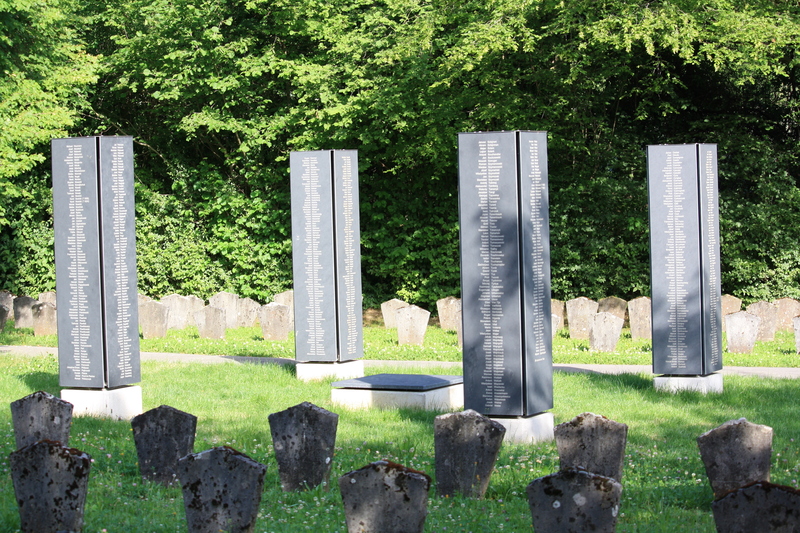 First of all a plan was developed together with the Vaihingen stone sculptor Lothar Morlock for four basalt pillars showing the names of all the victims. But this artistic approach, which would have meant a lot of manual work, was not affordable. After investigating other memorials we finally came across the concentration camp memorial in Mauthausen. Here they had engraved the names of the victims on transparent plates with the help of laser technology. The two firms “Lascript” and “Metall und Form Martin Fussenegger” from Vorarlberg had carried out this work and were finally commissioned for the task in Vaihingen/Enz. Altogether 16 dark slate plaques were mounted in groups of four on four hollow metal constructions. 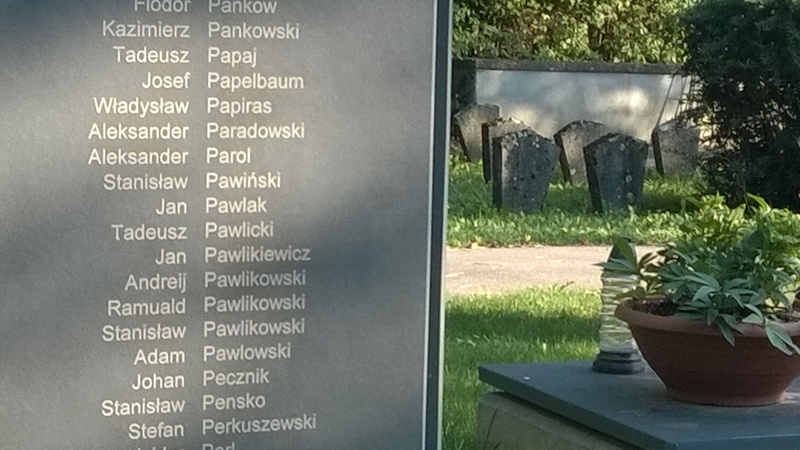 The plaques commemorate the names of the victims in alphabetic order, without reference to nationality or religion. The €40,000 construction with its four pillars and the space in its centre for placing wreaths, candles, stones etc. serves both as a place to mourn and remember. But it is also a place to research the names of inmates who came from places on the four points of the compass, symbolised by the four pillars, stretching “from France to Poland, from Norway to Italy”. This was explained by Dr. Scheck of the Memorial Association during the presentation of the name plaques at the memorial cemetery of the concentration camp on 13th October 2013. Dr. Scheck was the main person responsible for carrying out the research on names and numbers. In addition, he also pointed out that it is very difficult, well-nigh impossible, to establish the exact number of victims. The names of 1342 victims will be found on the plaques, eleven of the victims remain anonymous. About 60 people – including about 15 youngsters – attended the small celebration at the Concentration Camp Memorial Cemetery at which the Memorial Association presented the newly erected names plaques and explained the project “Giving the Victims Back Their Names”. In his words of welcome, County Mayor Dr. Haas stressed how extremely important it is for friends from Israel and all the other family members that the victims have been freed by the project from the anonymity of the numbers and been give back their names, especially in view of the thirty-year old partnership between Ludwigsburg County and Upper Galilee. He thanked the two main sponsors of the project, the Wüstenrot Foundation and the Art, Culture and Education Foundation of Ludwigsburg County Savings Bank, of whom he is the chairman, as well as the Berthold Leibinger Foundation for their contribution to the “Culture of Memory” in Ludwigsburg County. He explained that “only by remembering can you find release”. In particular he thanked the initiators of the project – the Vaihnigen Concentration Camp Memorial Association – for instigating the project and above all for the hard work they have done over the years.